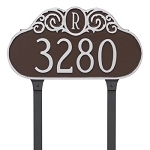 This personalized family name plaque welcomes your guests with style. 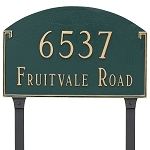 A beautiful pineapple is inscribed on the plaque. 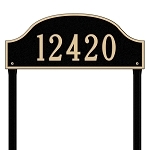 Simply add your name and you'll have a beautiful plaque to welcome visitors to your home. This welcome plaque is made of recycled aluminum. Made in USA. Wall mount. All mounting hardware included. 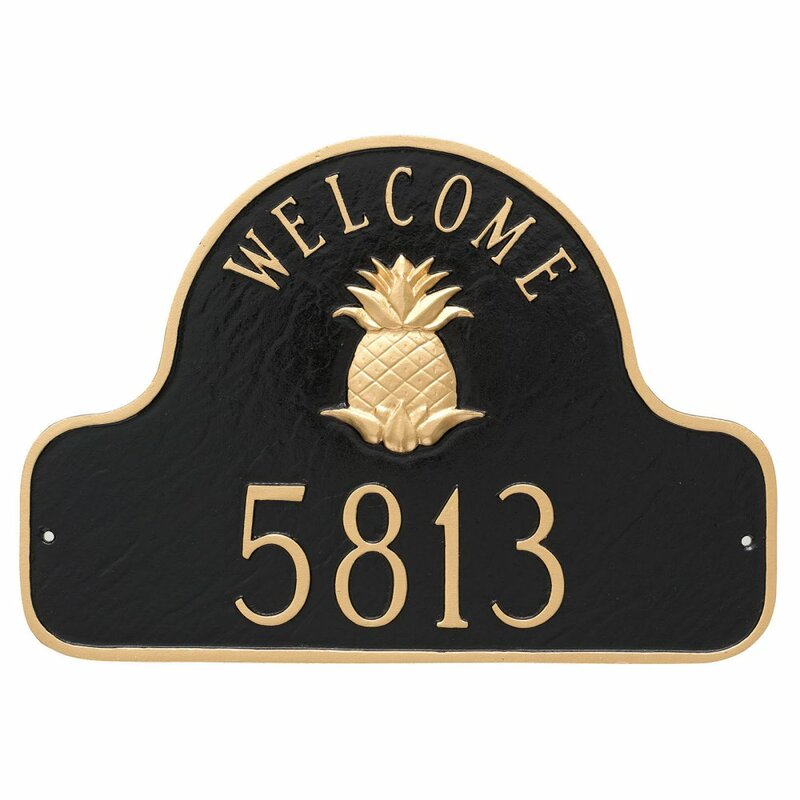 The pineapple and Welcome are pre-printed on the plaque and cannot be removed. Line 1: Holds up to five 5" characters or seventeen 2" characters. WOW! We love it.It was worth the wait.